This is to ensure that you do not undertake a treatment that is not suitable for you. The charity works with people with varying disabilities and complex medical conditions promoting best practice as a specialist provider of complementary therapies. In the case of certain medical conditions and/or disabilities certain complementary therapies can be contra-indicated. A hospital consultant/GP can provide more detailed background information, particularly if your history is complex. This ensures treatment is not undertaken if there is risk that your symptoms or condition could be worsened or the effectiveness of medical drugs or treatments could be altered. 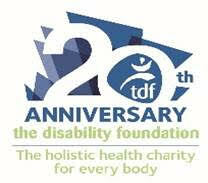 TDF’s therapists work in a way that complements conventional medicine rather than as an alternative to it. Who is likely to provide a consent letter? This is not comprehensive or exhaustive and certain other conditions or medications not mentioned above may also require consent from a doctor. This is normally decided after consultation with several therapy practitioners and remains at the discretion of TDF. Will TDF contact my doctor on my behalf and is there a charge for this service? Most people prefer to talk to their doctor themselves. TDF are aware that you may not be able or wish to approach your doctor for consent and/or that sometimes doctors may charge their patients for this service. In such circumstances TDF can write directly to your doctor on your behalf.